It is that time of year again in at The Compass Rose Inn. Snow will soon be falling, Christmas light will be shining bright and the holiday spirit will be in full effect. 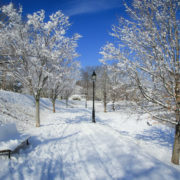 Winter is a great time to stay and enjoy the beautiful city Newburyport, MA. Store fronts are opened year round and the delicious smell of Newburyport’s top restaurants fill the streets. Newburyport’s invitation nights gives you a great opportunity to view Newburyport’s city streetscapes at there finest. Mark your calendars for Dec. 1st & 8th, book a babysitter and call your friends to make plans for two great nights in Newburyport, Ma! Enjoy merchant hospitality, live entertainment, fabulous shopping and dining – and of course the spirit of the holidays – in beautiful and festive downtown Newburyport and The Tannery as well as Merrimac Place and Horton’s Yard! Stay at The Compass Rose Inn and enjoy all the amenities and comfort during you stay. Fall is just around the corner and the Compass Rose Inn is preparing for all of the wonderful and festive events that will be occurring in Newburyport for the upcoming season. Even though beach trips to Plum Island are coming to an end, Newburyport has an array of activities for you and your family to participate in. Stay at a Newburyport bed and breakfast to be in the center of it all. On Columbus Day weekend, enjoy the annual Newburyport Fall Harvest Festival. Visit downtown Newburyport on October 9th and 10th to enjoy delicious foods, live music, and more family fun! While you are at the Fall Harvest Festival, don’t forgot to enter the 15th Annual Scarecrow Contest. Enjoy live music in Market Square, craft shows, and food vendors. Learn more about the 2016 Newburyport Fall Harvest Festival here. With cooler temperatures soon approaching, so is fall foliage. One of the many perks of the Compass Rose Inn being located in New England is being part of leaf peeping season. 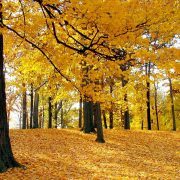 Gorgeous fall foliage surrounds Newburyport and there are always events and activities going on. Take the family apple picking at a local farm. The Compass Rose Inn is just a 15-minute drive from Cider Hill in Amesbury, MA. Pick your own apples and pumpkins! Stay at The Compass Rose Inn Newburyport during all of your fall season outings. The Compass Ross Inn is a unique Newburyport bed and breakfast that offers charm and impeccable service. To learn more about the Compass Rose Inn, or to reserve a suite, please call 978-675-6600 or visit http://www.compassrosenewburyport.com/. Make memories that last a lifetime with friends and family at Newburyport’s hidden treasure, the Compass Rose Inn. The Compass Rose Inn is centrally located with hundreds of restaurants, shops, Plum Beach, the Wildlife Refuge, and much more to make sure that happiness resides outside your door. Our staff makes it easy for you to know what is going on in the area and to visit all the amazing spots the locals rave about. 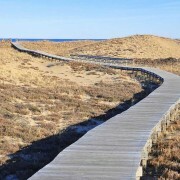 Speaking of great locations, Newburyport’s community beach, just steps away from the Compass Rose Inn, is a family-friendly attraction called Plum Island National Wildlife. The Plum Island accommodations are perfect for sunbathing, fishing, boating, kayaking and home to the bird watching attraction, the Parker River National Wildlife Refuge. This wildlife conservation, the Parker River National Wildlife Refuge, provides a variety of excellent wildlife-dependent recreational activities, including surf fishing, wildlife observation and photography, a variety of interpretive programs and seasonal waterfowl and deer hunting opportunities. Whether you came for relaxation or education, the Newburyport area has what you need, and that is what makes the Compass Rose Inn location so important. Enjoy the relaxation, comfort and even romance at our federal style mansion that incorporates a stately ambiance and sophistication of a by-gone era. The Inn maintains its history as a federal style Inn while providing all of the modern day luxuries you need. 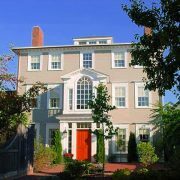 This Newburyport bed and breakfast offers unique charm and optimal service making it the ideal choice for those who want to experience the ultimate getaway and options for the perfect adventure. Interested in lodging Newburyport MA? Book a room today at our beautiful Compass Rose Inn, before we sell out for the summer months, and experience the many activities and sights that we have to offer. For more information, or to book a room, please visit our website (http://www.compassrosenewburyport.com/) or give us a call at 978-675-6660. Our staff looks forward to making your getaway as enjoyable as possible! Nestled just one block away from Newburyport’s historic downtown, The Compass Rose Inn offers charm and convenience to travelers wishing to experience the North Shore of Massachusetts. In addition to the world of adventure in the quintessential New England city of Newburyport, the Compass Rose Inn is in close proximity to another beloved destination, Plum Island, Massachusetts. Plum Island is an 11 mile long barrier island off the shore of Newburyport, named for the wild beach plum shrubs that flourish in its dunes. The island boasts beaches, restaurants, fishing, wildlife, and more. Plum Island national wildlife is one of the unique features of this quaint beach community. Part of the island’s national wildlife setting is the Parker River National Wildlife Refuge, which spans 4,662 acres, and is home to more than 800 species of birds, plants, and animals. The refuge contains a diverse array of habitats and ecosystems; beaches, sand dunes, salt marshes, salt pannes, freshwater impoundments, and maritime forest. The salt pannes are a beautiful place to observe shoebirds during their Fall migration, as well as egrets and herons from mid-April through October.Off the coast of the island you can enjoy surf fishing where you may striped bass, bluefish, and several other species native to the area. The refuge also offers canoeing and kayaking so you can explore the creeks and salt marshes up close at your own pace. Experiencing Plum Island national wildlife will leave you with memories that last a lifetime. The Compass Rose Inn is the premier choice for Plum Island Accommodations. It offers the convenient proximity to downtown Newburyport, and easy access to the wonders of Plum Island national wildlife. 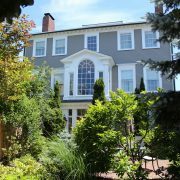 To learn more about The Compass Rose Inn and book your stay, please call 978-675-6660 or visit us at www.compassrosenewburyport.com.